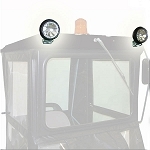 · No holes to drill, the cab mount using existing holes. · Installation time will take roughly three to four hours. 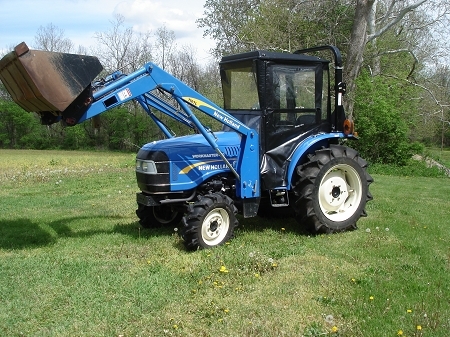 · Removal will take approximately 45 minutes. 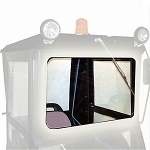 · Clear shatter resistant Lexan plastic is used in the rear curtain, side doors and the windshield for maximum visibility. 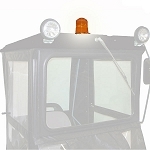 · Forward inclination of the windshield minimizes glare and contact with falling snow and rain. 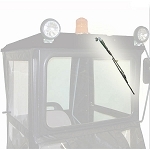 · Doors are hinged with latches so getting in and out of the cab is easy and quick. · Doors can be removed during summer, allows canopy to double as a sun shade.